The US assistant secretary is in Kyiv to "get the sense" ahead of the summit. 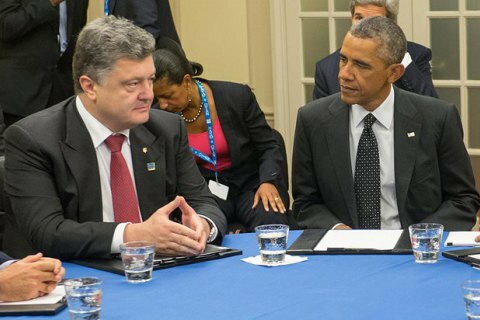 US President Barack Obama and Ukrainian President Petro Poroshenko will meet at the NATO summit in Warsaw, US Assistant Secretary of State for European and Eurasian Affairs Victoria Nuland has said at a briefing in Kyiv. "We want to get the sense ahead of a meeting of our president - our and your - at the summit in Warsaw," she said after a meeting with parliament speaker Andriy Parubiy. The summit in Warsaw will take place on 8-9 July. Nuland is a US negotiator on a Donbas settlement.